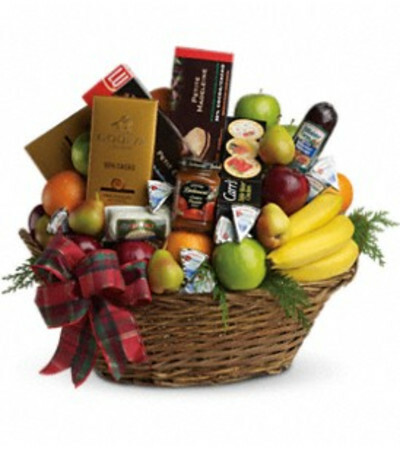 oranges - gourmet chocolates and cookies, cheeses, sausages, crackers and more. Plus, it's all wrapped and ribboned in a big delightful basket. Let the sumptuous snacking begin!